Accuracy: ±1.0% of full scale basic accuracy class. 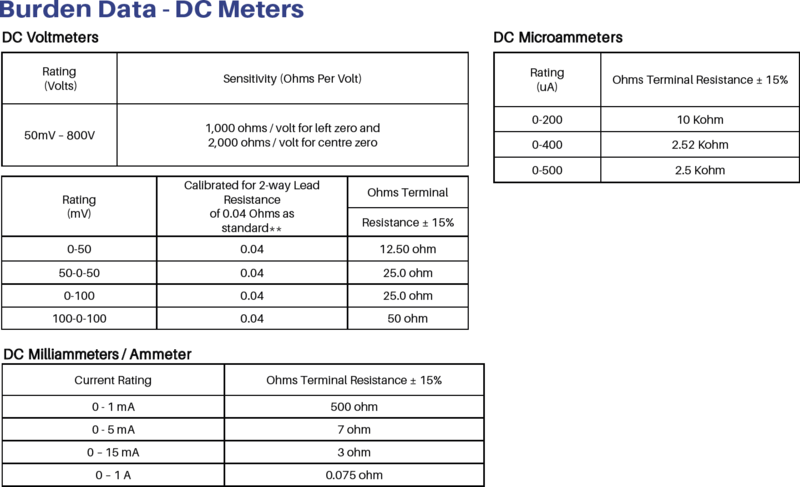 Expanded Scale Voltmeter - 0.3% of mid-scale. Power factor meter - ±1% of fiducial value from 40-120% of rated current. Synchroscope - ±1% of scale length. Full scale length: MCS - 6.9 inches. scale; numerals and legends on the inner scale. Polycarbonate molding with black matte finished bezel area. repeated 10 times with 1 minute interval. 1. For polyphase applications, see Selector Guide. 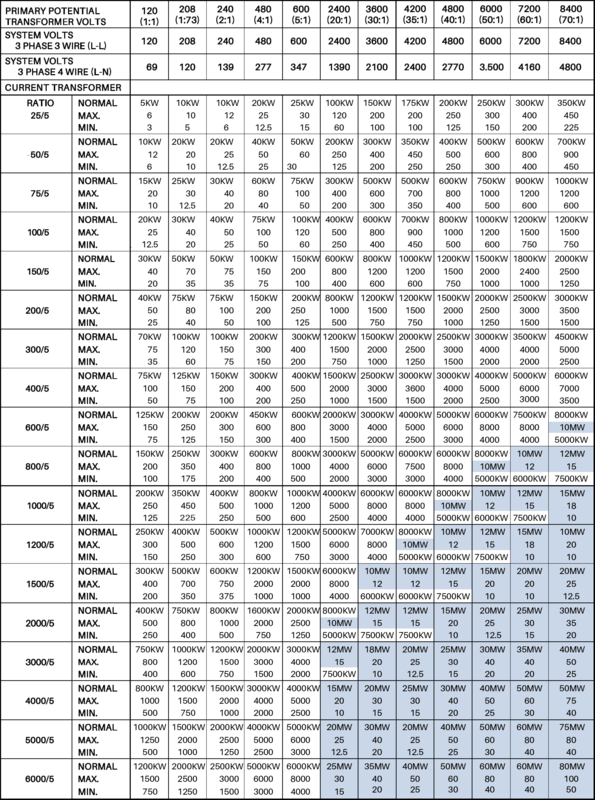 These charts display complete catalog numbers for use with commonly used combinations of CT and PT ratios. For single phase applications, order by description. For 3-wire 3-phase wattmeters rated 120 volts, 5A select line to line voltage on Scale Selector Guide. For 3-wire 3-phase varmeters rated 120 volts, 5A select line to line voltage on Scale Selector Guide. 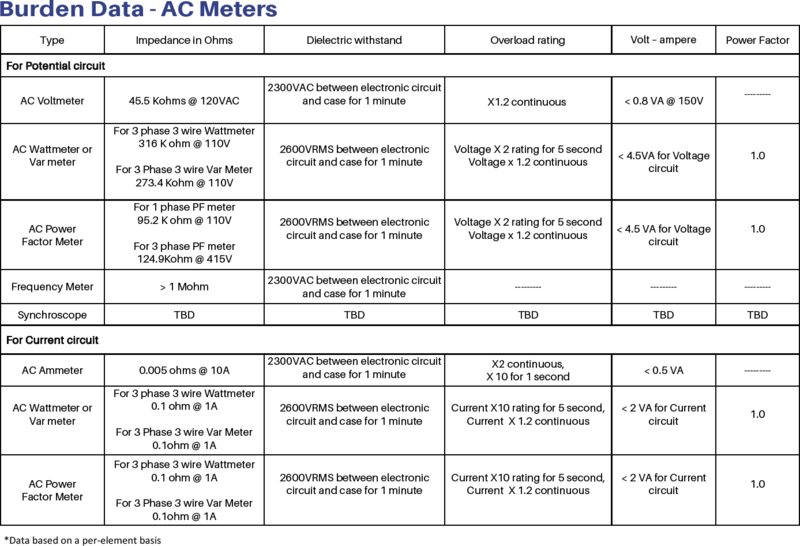 For 4-wire 3-phase wattmeters rated 120 volts, 5A select line to neutral on Scale Selector Guide. For 4-wire 3-phase varmeters rated 208 volts, 5A select line to neutral on Scale Selector Guide. 2. 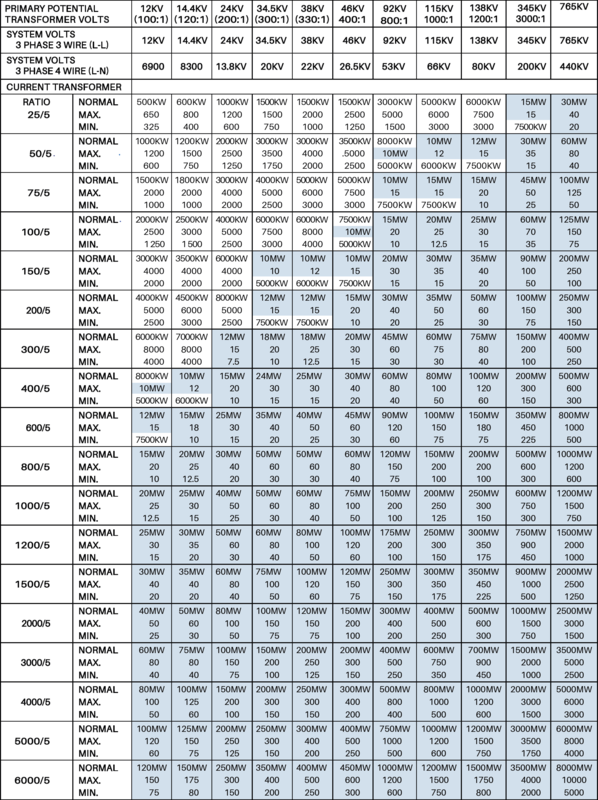 If scale is required to be higher or lower than the preselected scale shown in the above charts, choose a scale value between the maximum and minimum shown on this table for the combination of CT and PT ratios. Order by description, giving CT and PT ratios and choice of scale. 3. 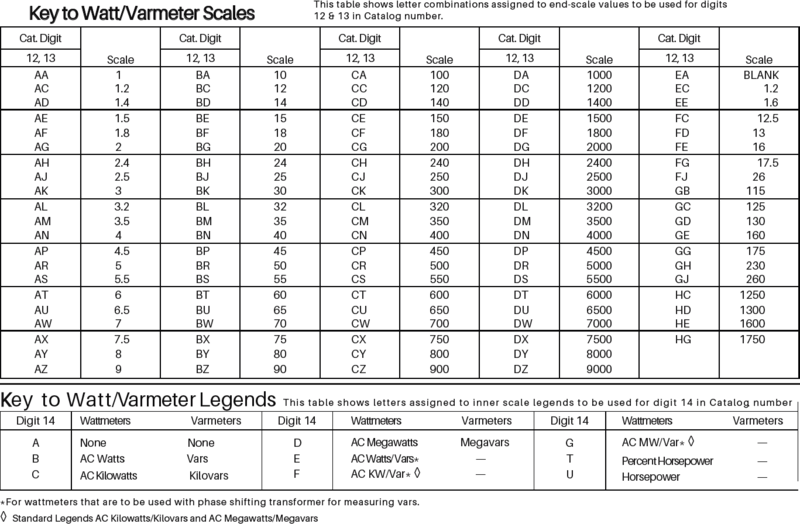 For transformer ratios and/or ratings not shown in the above tables, see Scale Watts Formula below. 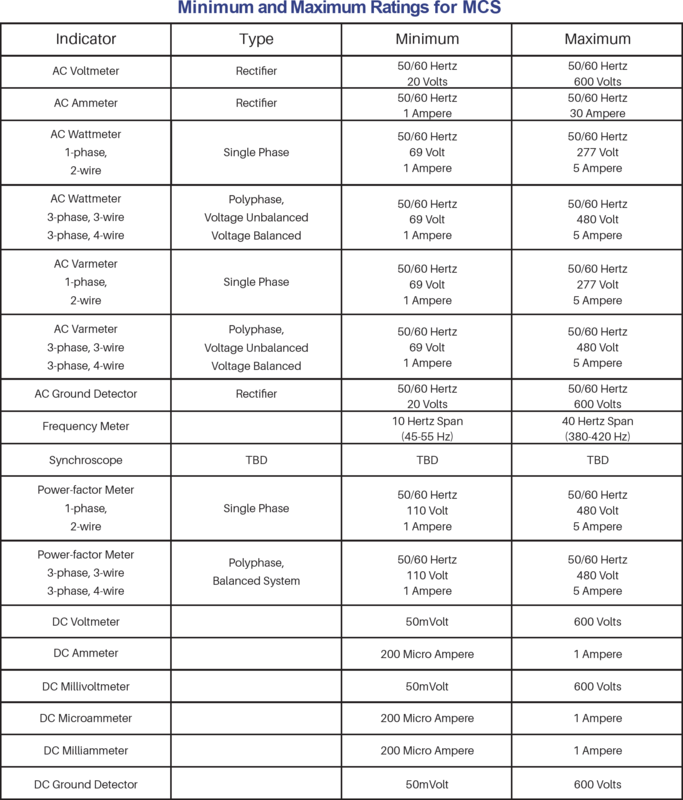 This table shows minimum and maximum calibrating watts for various applications and ratings. 4. See tables below for scale and legend keys to catalog number.